Win a Valentine's Getaway at Gaia Retreat & Spa! 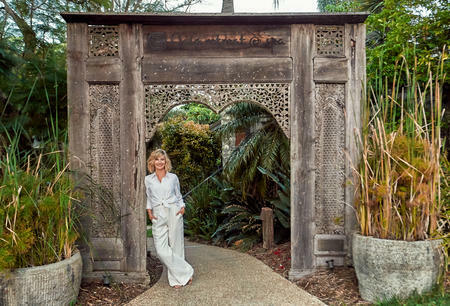 To celebrate the launch of Olivia Newton-John's brand new skincare range Retreatment Botanics, we have teamed up with Olivia's internationally acclaimed, multi-award winning Gaia Retreat & Spa to give you the chance to win an incredible 4-night getaway for 2 in the hinterland of Byron Bay, valued at $7000+! After 2 years of intensive work and research, Retreatment is now the actual range of products used in the Gaia Day Spa as a pure performance skincare range that targets ageing and other skin care concerns while being gentle, calming, uplifting and kind to the earth. To win a stay at this incredible retreat, simply ensure you are a current club member and purchase ANY Retreatment product to go into the running. You must tell us in the checkout comments in 25 words or less why you deserve this getaway. Plus lucky 10 runners-up will receive their own Retreatment Prize valued at $160 so they can enjoy the Gaia experience at home! This competition commences on February 5th at 11:30 am and ends February 19th at 11:59 pm 2019. 1. Ensure you are a current Nourished Life Club Member. 2. Purchase ANY Retreatment product online here! 3. Tell us in 25 words or less in the Checkout Comments why you deserve to win this amazing prize! 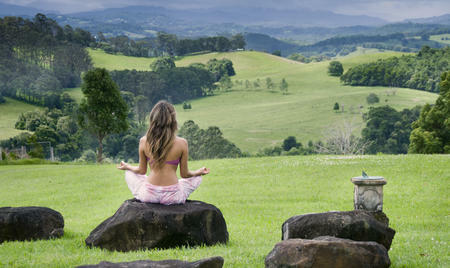 We will then automatically add you into the running to win this getaway to Gaia Retreat & Spa, valued at over $7000! Plus you can enter as many times as you would like - one order (with comment) will count as one entry. 10 runners-up will receive the Instant Glow Face Masque & Olivia's favourite - the Restore Serum, valued at $160! 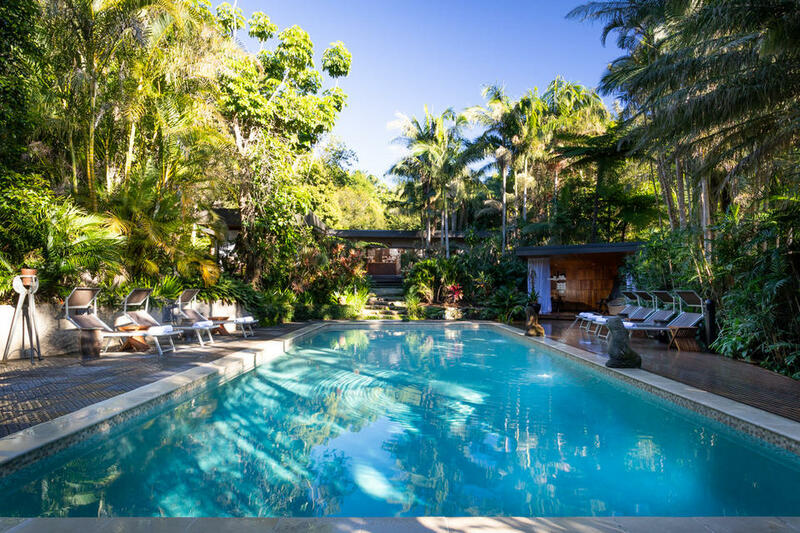 Gaia means 'spirit of Mother Earth,' and that's exactly what this spectacular retreat embodies, located across 25 acres in the breathtaking Byron Bay hinterland. With sprawling views, sustainable design, and expert, qualified staff, the peaceful haven of Gaia is tailored to help its visitors deeply de-stress, relax, and rebalance, inspiring personal development and change so you can continue your restorative journey long after you leave. Safe, tranquil and private, this boutique retreat features the world famous Gaia Day Spa on-site, as well as incredible cuisine — the spa menu changes daily focusing on organic, locally sourced produce, and is prepared by world-class chefs. Since opening in 2005, Gaia has won numerous awards, affirming its global reputation as a leading boutique spa experience. Last year, Gaia won the prestigious 2018 Global Hotel of the Year Award at the World Luxury Hotel Awards. Overlooking Gaia’s picturesque sub-tropical gardens, the Sura Terrace provides you with complete privacy to experience the beautiful tranquil surrounds of your own secluded courtyard and a large outdoor deck, complete with a private daybed. Rooms include TV / DVD and a beautiful sunken bath. Sura Terraces offer understated elegance, style and comfort. The elegant accommodation is designed to provide you with the privacy you need to simply melt away from everyday life amidst nature. Each day is crafted by you — choose from calming activities such as morning yoga, opt for energising fitness and boxing classes, informative organic cooking classes, or just take time out to recharge and restore with a nature walk or rest on a daybed. The friendly team of wellness professionals are always at hand to help make your stay inspiring, enjoyable and revitalising. Just 15 minutes from Byron Bay, less than 30 minutes drive from Ballina Airport and approximately 60 minutes from Coolangatta Airport, Gaia is poised on the highest point in the region known as the healing capital of Australia. 1. The "Valentine's Gaia Retreat" Promotion (the "Promotion") is conducted by Nourished Life, ABN: 201 609 92610, of 29-31 The Corso, Manly, 2095, NSW (the "Promoter"). 2. By participating in the Promotion, individuals accept these conditions ("Conditions"). Information on how to enter and prizes form part of these Conditions. 3. All references to times and dates in Sydney Australian Eastern Daylight Time (AEDT). 4. All references to dollars or "$" are references to Australian Currency. e) Has made a single purchase during the promotional dates (February 5th at 11:30am and ends February 19th at 11:59pm 2019) of any Retreatment products from Nourished Life. 6. All eligible entrants will be automatically entered into the draw. Please note the prize is subject to the supplier's own terms and conditions listed below. Dates and Blackout periods apply. Giveaway package valid for 3 months from the date of winning this prize. The recipient of this giveaway package must confirm booking arrangements with Gaia Retreat & Spa within thirty (30) days from the date of winning this prize. If the recipient/ winner does not book within the prescribed thirty (30) days the prize will be deemed invalid. What’s not included in the package: Insurance, phone calls, beverages and meals not included in the itinerary, additional treatments not included in the itinerary, excess baggage and all other items of personal nature, transfers outside of complimentary transfer times. 9. Each valid entry will be individually judged (by representatives of the Promoter) based on, among other things, relevance, experience, originality, literary merit and suitability. 10. The winner will be randomly drawn Wednesday 20 February 2019 at 29-31 The Corso, Manly, 2095. 11. The winner will be notified via email and social media and their names will be published online at www.nourishedlife.com.au for minimum seven (7) days. 12. The winner and the person they choose to take on this retreat must both be available to fly out from the same airport together from the winning order delivery address. 13. All data collected will become the property of the Promoter. The Promoter collects personal information about you to enable you to participate in this promotion but no further use of this information will be made without prior consent. 14. The Promoter's decision is final and no correspondence will be entered into regarding the competition result. 15. The Promoter reserves the right to request winners provide proof of identity, proof of residency at the delivery address in order to claim a prize. 16. The Promoter reserves the right to verify the validity of entries and to disqualify any entry which, in the opinion of the Promoter, includes objectionable content, profanity, potentially insulting or defamatory statements, disqualify any entrant who tampers with the entry process, who submits an entry that is not in accordance with these Terms & Conditions of Entry or who has, in the opinion of the Promoter, engaged in conduct in entering the Promotion which is fraudulent, misleading, deceptive or generally damaging to the goodwill or reputation of the Promotion and/or the Promoter. The Promoter reserves the right to disqualify a winner if the Promoter becomes aware that the winner and/or the winner's entry is of a type described in this clause. 17. Entrants personal information may be disclosed to State and Territory lottery departments and winners names published as required under the relevant lottery legislation. For purposes of public statements and advertisements, the Promoter will only publish the winner's surname, initial and state. A request to access, update or correct any information should be directed to the Promoter. 18. To the full extent permitted by law, the Promoter and related prize suppliers (the "Relevant Parties") exclude all liability for any loss (including any damage, claim, injury, cost or expense) which is suffered or incurred by any person in connection with the Competition or prize, including: (i) any indirect, economic or consequential loss; (ii) any loss arising from the negligence of a Relevant Party; (iii) any liability for personal injury or death. Nothing in these Conditions is intended to exclude, restrict or modify a person’s rights under the Competition and Consumer Act 2010.
a) the Promoter using their name, likeness, image and/or voice (including any photograph, film and/or recording of the same) in any media, including Facebook, TV, Radio for an unlimited period of time without remuneration for the purpose of promoting Nourished Life or Paperbark Camp. 20. The prize, including any unused portion, is not transferable, exchangeable and cannot be redeemed for cash. The prize is not valid in conjunction with any other offer. If the prize or any part of the prize is not used, no compensation will be awarded to the winner. 21. In accepting the prize, the winner agrees to comply with all the conditions of use of the prize as outlined here. 22. As a condition of entering the Giveaway, entrants will be added to the Nourished Life subscriber database. Entrants can opt to stop receiving these communications from the receipt of the first email communication. 23. Authorised under NSW Permit Number: LTPM/16/00177.